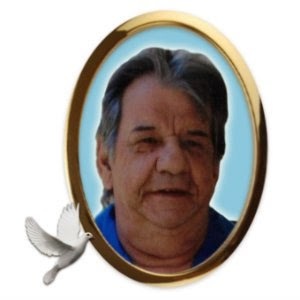 We learned late last night that our cousin Brian (known as Bonhomme to everyone) passed away suddenly and unexpectedly at home. He was Road Rage Rita’s eldest child and he was one of my brother Gil’s (Prince Porketta) closest friends. Bonhomme and Gil did everything together – most of it legal, some of it dangerous and all of it fun. The two of them, and their friend Danny, were the Porketta Bingo kings! I mean, how else do you spend an afternoon in Sudbury, right? Bonhomme lived life on his own terms. He long ago gave up the rat race and chose instead to live life as a bohemian – enjoying each day but never really planning for tomorrow. Don’t get me wrong – he was a hard worker - but he never bought into the whole “white picket fence” dream. He loved his family, adored his daughter and doted on his grandchildren. His favorite expression was “party on, eh!”. And he did just that! Over the past couple of years, he endured both a hip replacement and, more recently, a knee replacement. Although he was in a lot of pain, he never complained. He was rough around the edges but he had a heart of pure gold. All you had to do was ask for a bit of help and he was the first one there. I suspect that somewhere in heaven there must be a Porketta Bingo game going on, and Prince Porketta and Bonhomme are sitting there with a big jug of beer, some sausages and great big smiles, waiting for the rest of us to come have some fun. Sorry to hear this news. Very sad indeed. Time will tell if RRR will travel with you later in the year I suppose. Where the heck is everyone?